VOCAB: Look up the terms mammal, reptile, amphibian, invertebrate, protists and monera in the index (you'll find definitions there). Read the definitions. If you want, have your child write them down, and under each definition draw one or two examples of creatures that fall into that category. 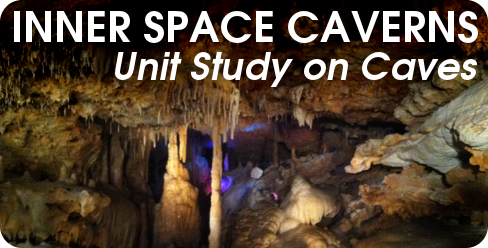 NOTE: The next day in our Unit Study is the "Cave Visit" section. There's some things you may want to do the day BEFORE your visit, so if you were planning to go to Inner Space tomorrow, please take a look now.